Stevyn has enjoyed working in the Offshore Industry for over eight years and has gained much experience in the areas of structuring and administration of International Offshore Companies, Trusts and Foundations, International Banking, Accounting, Corporate Law, Encryption Communication and Marketing. Stevyn has structured, under his new company "Prestige", corporate vehicles and bank accounts for multi-billion dollar clients and provided support in the form of management to these types of structures. 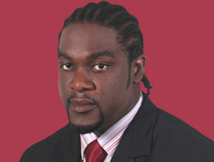 From 1994-1996 Stevyn worked for the St.Kitts & Nevis Social Security Board where he was responsible for daily balancing of cash ledgers and systems programming. Managed branch office of a BVI/Guernsey group called Euro-American Trust & Management Services Ltd from 2000-2004 here in Nevis after leaving Nevis International Trust Company Ltd in December of 1999, when his passion was to seek for more challenges in the Offshore Financial Industry. Law Student currently pursuing LLB (Hons) Business Law Degree with University of Huddersfield in the UK. Stevyn is responsible for the day to day operations of the Company. His most concentrated areas are Structuring and Administration of International Business Companies, Limited Liability Companies, Trusts and Foundations, Setting up Corporate Bank Accounts in various jurisdictions around the globe, and has become very keen in providing clients with the very best Privacy when conducting their financial affairs. Vernel brings to the company over 15 years experience in Fund Management and Investments, Business Administration and Implementation of Policies. 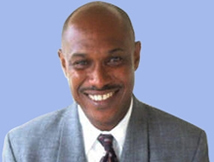 Vernel is presently Assistant-Director on the federation of St.Kitt's and Nevis's Social Security Board where he has managed millions of dollars for over a decade now and has been very successful in the investment programs of the Board. Prior to moving to Nevis back in 1990 Vernel dedicated a few years to The Mount Sinai Medical Center in New York, where he held the position of Administrative Supervisor. College for Human Services - New York City. Graduated 1992 with a Masters Degree in Business Administration. Vernel is responsible for advising the board on Investment Programs, Banking, Fund Management, Compliance matters and the Implementation of Policies.